Best home-selling experience I have ever had. Got top dollar in 3 days on the market. She is friendly and very professional. Everything we did was top notch and it paid off.  Working with Leanna when selling our home was a fantastic experience. She is both highly professional and yet very friendly & touchable. She was awesome in keeping us updated throughout the whole process. She was always quick to return our calls promptly & answer any questions we may have. We have bought & sold many houses before using different realtors. Leanna has been the best! If you are looking to buy or sell your home I highly recommend using her services. She's the best! Leanna was the best. She helped us navigate a fast negotiation on a property we had to have. She is completely familiar with Haslet and the surrounding area. Leanna even had some great referrals for the inspections we needed to have completed. Leanna made the buying process smooth as glass, she truly knows the business. She always answered my questions and addressed any concerns that I had in a timely and professional manor. She is the best. Leanna was amazing!!!!! This lady knows her business! Selling the house was smooth. Because of her ideas and stage crew, we sold our house in 2 days. Closing was a breeze. I would use her again in a heartbeat. Leanna sold my house... FAST! I was so impressed by he network of agents she email my listing to. Also, she was EXTREMELY knowledgeable where it concerned thinks like taxes and contracts.I would highly recommend her to anyone! Leanna helped us successfully sale our house very quickly. She also helped us navigate buying a short sale house. Even though buying a short sale was tedious she was so helpful through the entire process, keeping us informed and helping us making decisions and move the process along. She is highly recommended. This is the second time Leanna has helped us with selling and buying a house and we wouldn't use anyone else! First let me start with a phone call I had with Leanna.back in March about possible sale of my home. I was very impressed with her honesty and market knowledge. I was also impressed after contacting 5 agents and only 2 responded back with the information. by Leanna went beyond with a phone call and email. She also remembered the call when we spoke again in Aug we reviewed process and sales plan.She gave us some good options and waited for us to think and review the process.She is very quick about calling back or calling to review.She was there for all meetings and answered all questions I have and a Big plus she real help with some last minute issues and she took care of it .I would recommend Her to my family and friends to buy or selling a home. Again She starts the process and completes the process with very little work on my part. Leanna was an excellent Realtor to work with. She made the whole process of selling our home as simple and stress-free as possible. From the very first meeting, we knew she was the right choice. She was able to answer all of our questions and provide us with what we needed to get our house sold. From the open house to the closing, we knew we could count on expertise and her friendly personality. We were especially grateful when she went all out to help us find somewhere to live when our home sold quickly before our new home was built. Highly recommend! As we had never sold a home before, we knew we needed a realtor who would be patient enough to walk us through the process. Leanna came highly recommended from a good friend of ours. We interviewed her and decided she had the knowledge, personality, and experience we were looking for. As soon as we gave her the greenlight, she got to work promoting our house before it went on the market. Our house had a solid contract on it in 3 weeks. It all went so quickly, but was also relatively easy considering the complexities that can be involved in selling a house. Leanna is very knowledgeable about the areas north of Fort Worth. She was very professional and responsive to our questions and concerns through the whole process. Leanna was highly recommended to us by friends and neighbors and we couldn't be happier. We enlisted her help for the sale of our home which we outgrew and with the purchase of a home that fit our growing needs. She was able to showcase our home to get the most value when we did sell and when we needed to move up the closing date of our new home she was instrumental in negotiating that as well. Leanna kept us informed and updated through every step of the process and made sure to work around our schedules. She has a great knowledge of the area and its trends. When the time comes for us again we'll be certain to call upon Leanna. We moved from Oklahoma to the Haslet, TX area just over a year ago. We met Leanna through a showing of a home that she had listed. We had a very extensive conversation with her at the showing, and we decided then that she was the perfect realtor for us. Her knowledge of the housing market, and the area in general was impressive. The home buying process is a very tough chore, and even more so when you add in a long distance move to the mix. Her ability to work with our hectic schedule and travel plans made us feel like we were her only customers. Leanna is very detail oriented, and her willingness to listen and understand her customers needs/wants make her a master in her field. Without question, Leanna is the only realtor that we would use or recommend. Leanna was VERY helpfull in suggestions for finishing house prior to listing, i.e. paint, carpet, etc.. Had offer first full day list, even though it fell through we had multiple offers witnin 5 days and contracted/sold to one of them. Leanna was our real estate agent as we searched for our new home. She was consistently prompt in responding to our questions or requests. She was very knowledgable and professional at all times. Leanna is so enjoyable to be around and was so patient with us as we looked at properties and searched for just the right one for us. We appreciate her hard work and would highly recommend her as an agent you can trust. She kept in constant communication with us and helped us navigate through the entire process of buying and selling from start to finish. She was honest, personable, and made us feel very comfortable the whole time. Leanna did a great job with the sale of our house and was there every step of the way to make sure everything went well. No detail was overlooked and she was always available to answer our questions. Leanna did a great job with the sale of our house and was there every step of the way from the first meeting until closing. No detail was overlooked and she was always available to answer our questions. Her experience and guidance allowed our house to sell in 30 days. Also, the final sales price was 20k more than what we thought we might get. She is very motivated, spends the money to promote, stage and ultimately sell the home. Would highly recommend her to anyone interested in listing their home in the DFW area.